Spreadsheets are such a convenient, simplistic tool that many organizations use them for tracking and managing their data and processes. Yet, spreadsheets have vast limitations and are notorious for containing errors. 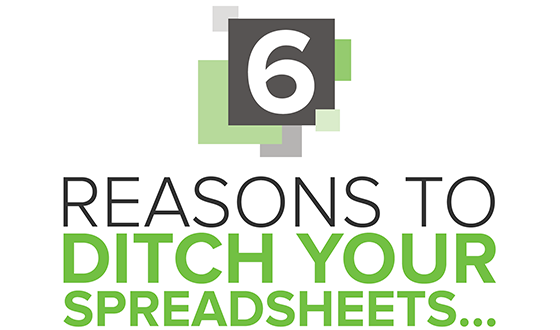 Read 6 Reasons It’s Time to Ditch Spreadsheets and Make the Move to Workflow Management Applications and get a line-by-line comparison between spreadsheets and custom workflow applications. You’ll learn how by replacing spreadsheets with custom web and mobile-ready workflow applications, you can improve your organization’s ability to perform and succeed.